Synchronicity is a term that came into popular use by Swiss psychotherapist Carl Jung . He experienced “meaningful coincidences” where two or more signs that occurred randomly were also connected by meaning (not by cause) in both his life and during sessions with clients. A person may dream of a symbol such as a heart ♥ and then receive a card in the mail from their first love the next day with the same heart on it. The coincidence is the appearance of the ♥ in the dream and then again on the card. The meaning is derived from the feelings, thoughts, and actions it inspires. The symbol may be a sign or reminder about the heart connection shared. If the person decides to call and reconnect with their first love, this is synchronicity! Synchronicity is when a coincidence shifts the motion of your life. Coincidence in action is synchronicity. Synchronicity offers us an opportunity to test our choices and find out whether they are good for us. Ultimately, synchronicity is when multiple signs focus our attention on a path. Synchronicity helps us know if we are on the right track (or not). Imagine you are on a path in the woods. Typically, you will read the signs you come across. If you see a sign that says, “Danger! Live Crocodiles! Go ahead at your own Risk!”, you may consider turning around (although I’ve been known to keep on down the path). If you continue along this path, your senses may be heightened, and you may even come across a crocodile. Or, you may avoid danger due to your heightened state. The point is that you’ve been warned and it is your choice whether and how (with awareness) to continue down the path or change course. The signs that show up in life can lead us down different paths. A sign may be a person who resembles a person from our past, an animal that shows itself to us during a walk or a quote that you hear over and over in a day. Synchronicity is when we have more than one sign show up with the same meaning. If we listen, pay attention and follow a sign we may be led to more. If we don’t pay attention, then we may end up being distracted onto other paths and going down a path that may not serve us. Typically, a path connected to synchronicity has a higher potential to serve our whole self – body, heart, and mind. Following signs means listening for a deeper knowing and a feeling that goes with it. It may be the distinct feeling of flowing with life with ease and acceptance. Or, it may be the feeling that you need to wake up now and get back on track! When I’m not getting any signs…well, it feels more like I’m not living my life fully. Different signs, over time, tell us different things. Don’t get stuck on only one sign or synchronicity. I may see a heart shape in the clouds as I’m walking and then meet a person in the park who I have a strong connection with. Through this synchronicity, I learn to trust that heart in the clouds as an affirmation of strong connections. However, there may be other signs that also point towards strong connections. Carl Jung defined synchronicity as “meaningful coincidence”. Many in science view synchronicity as apophenia or the experience of seeing false patterns in random or meaningless data. Let’s be clear that both synchronicity and apophenia exist. The trap of synchronicity is to create connections that are misleading. The trap of apophenia is to refuse to accept valid connections that lead to important insights and improved life choices. How do we tell the difference between synchronicity and false connections? Live the experiences and practice! An open and relaxed mind is critical for synchronicity. It is easy to force signs into connections which aren’t relevant. We can see many potentials and possible paths ahead of us, yet we walk only one physical path at a time. Deciding which signs are relevant to follow can be overwhelming if our mind is not clear. With a clear mind, we will simply understand the sign, know the path forward and step into it. We won’t choose to follow a path out of worry, doubt or a desire for life to be a specific way. Because synchronicity works with “what might be” or potential, we must hold it lightly. We are on a current path, yet we have not chosen the future path. Learning to work with synchronicity is an art. We watch for the signs, take actions and test them over time. Benefiting from synchronicity requires both learning how to see the big steps in your life path expansively while using facts and a sense of reason to refine your smaller next steps ahead. There are infinite possibilities for how synchronicity will come to you. It may come in the form of a song over the radio that helps you shift frustration into courage and motion. A synchronicity may be a cool breeze that catches your attention and reminds you to smile. 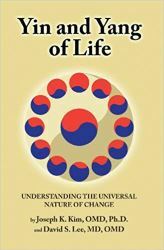 While shamanic cultures have included synchronicity as a part of how they navigate life, Carl Jung found a gap in western society when it came to these non-repeatable (hence unscientific) experiences. Below are some tips for recognizing and integrating signs and synchronicity into your life. One of the practices that help us stay connected and following the signs is this simple 10-minute Rattle, Body and Light (Piko Piko) Meditation! A clear mind helps everything, including living a life with synchronicity. Practices like meditation help keep the mind clear. The less distracted you are with thoughts, worries, and doubts, the more likely you will notice the signs along the way. Sign up for our Monthly Audio Meditations! To practice noticing signs, ask a question about your life and go for a walk in nature. Repeat the question as you walk and see where your attention is drawn to. What are the first four signs you notice? And, what meaning can you associate with each sign? If the answer isn’t clear, ask the question in a new way and try again. When a sign shows up, follow it. Pay attention and listen for a deeper meaning. Be curious and see if the sign has a significance you can apply to your life. In this way, a sign opens us up to synchronicity. Build your Power. The shamanic method for building power is to connect to a power animal. We’ve created a ten minute audio meditation to help you connect to a power animal on your own. It’s part of our Personal Tao Membership and can be accessed along with other exclusive audios, teachings and meditations. Take action and let the universe know you are paying attention. Follow through with what feels right. As you take actions, look for additional signs you are on the right track – the magical path of synchronicity. Journal about the signs you notice in your life. Keep track of when you see signs, how they feel and what meaning you derive from them. Over time, you may see patterns in the signs and synchronicities that show up. Don’t give up. Onipa’a means persistence in Hawaiian. Remember that seeking synchronicity will bring more magic into your life. Be persistent! You may also enjoy taking our Shamanic Training course or trying a Dream Session to help connect more to signs and synchronicity. Synchronicities are the stepping stones to and within the path of your destiny. Most of the time, in the modern world, we are following our fate, being ping-ponged around by family, culture, materialism and all sorts of outside influences. We are following distractions, expectations, and obligations rather than signs and synchronicity connected to our higher self. Through one-on-one sessions, we help you first increase awareness of the signs showing up in your life. Then, we teach you to listen from a connected body, heart, and mind, so that you can not only be aware of the sign, but also any connections to other signs and deeper personal meaning. We can have sign after sign hitting us in the face; however, if we are not aware and listening, the signs will continue to go unnoticed, unable to help us live a more graceful life. Through destiny coaching, more and more, you are able and willing to notice the new signs before you, listen for meaningful coincidences and follow the energy of your destiny as it continues to evolve and unfold. When you are on the path of your destiny and follow synchronicity, you let the magic in and allow your brilliance to shine! 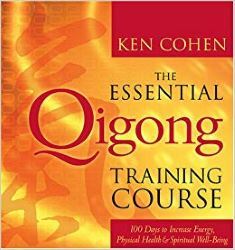 The Essential Qigong Training Course: 100 Days to Increase Energy, Physical Health and Spiritual Well-Being. 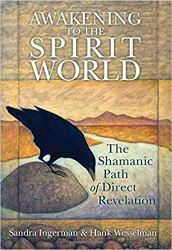 Awakening to the Spirit World: The Shamanic Path of Direct Revelation. 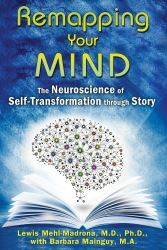 Remapping Your Mind: The Neuroscience of Self-Transformation through Story. Yin and Yang of Life addresses modern issues through the lens of ancient wisdom. Become a member of Personal Tao for additional teachings. Listen to this audio on how to work with your edges in life!